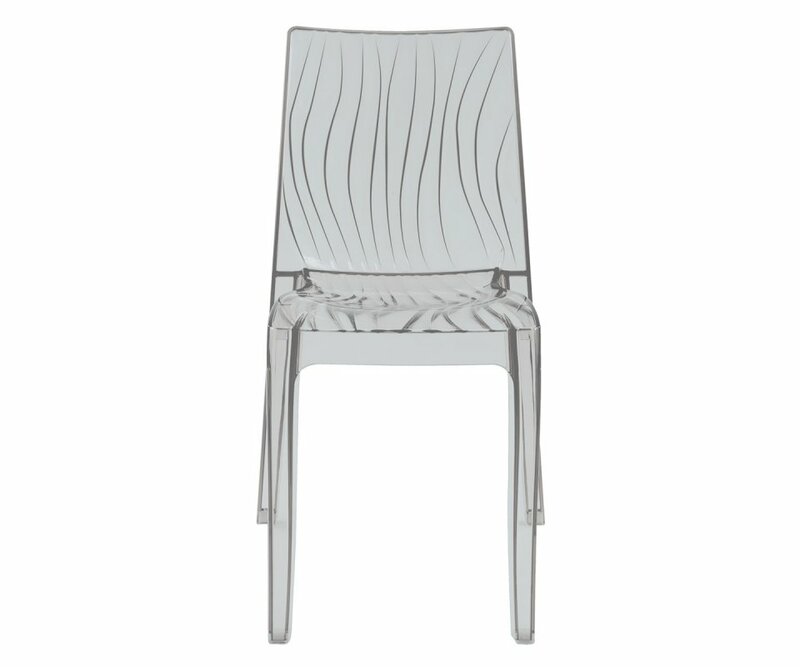 The design in this beautiful Italian-made UpOn Dune side chair is reminiscent of the effect of wind over sand dunes in the Sahara desert, and will add a flowing abstract detail to your home décor. 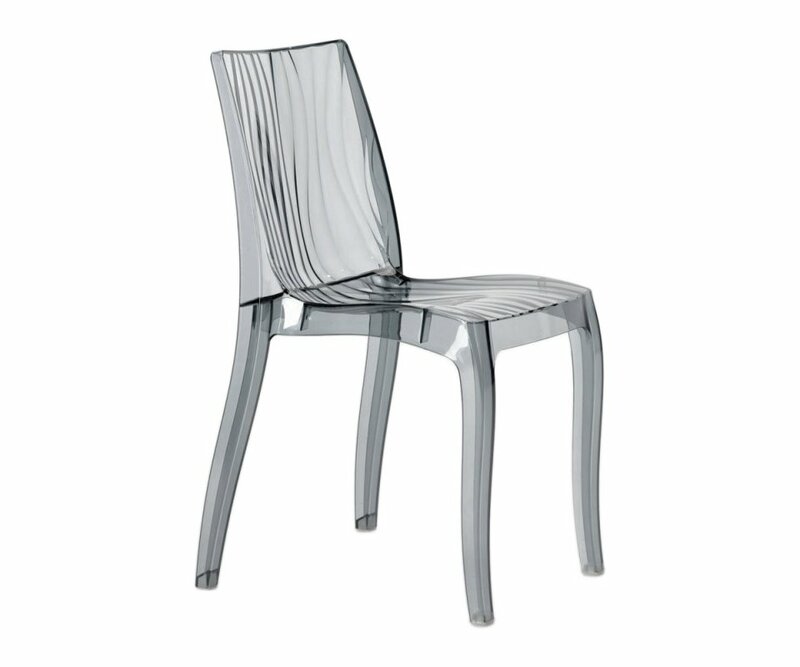 Paired with a solid wood or glass table, you will have the basics for creating the perfect designer look! The chairs are available in neutral tones of transparent clear and translucent light smoked gray that fit with any color scheme. 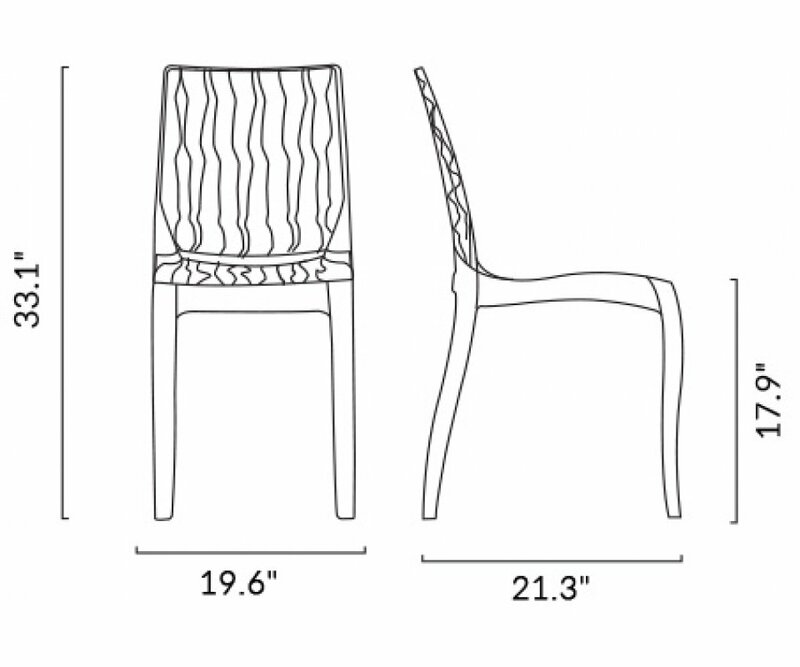 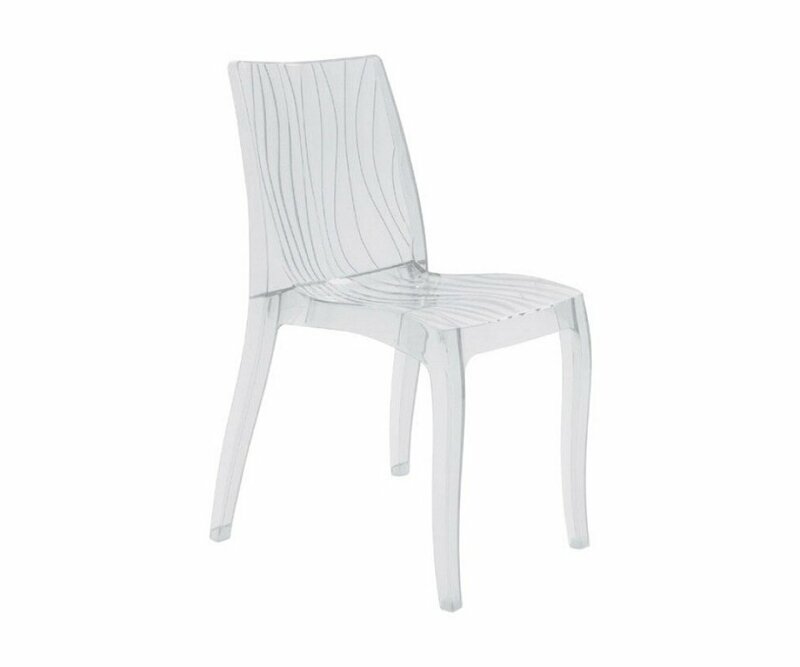 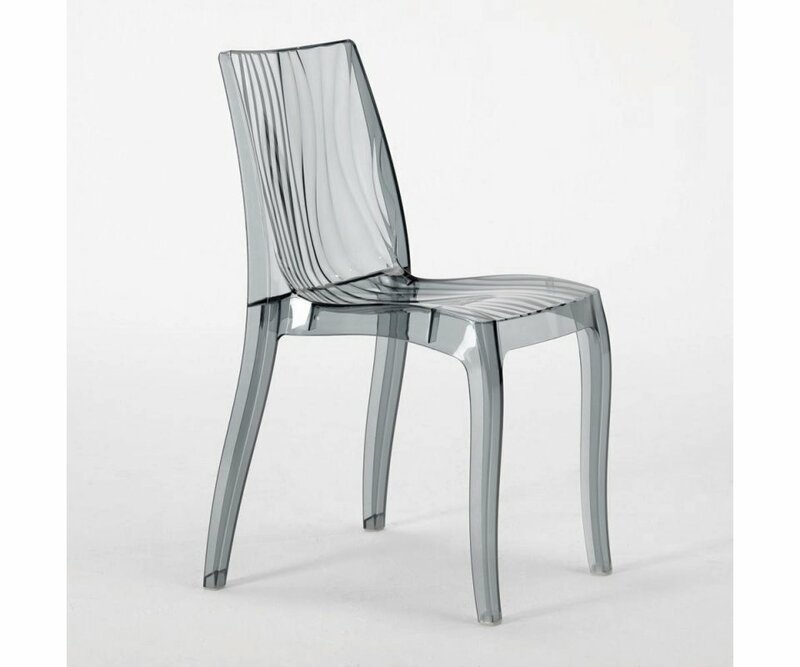 The chairs are made from a revolutionary new gas-molded polycarbonate that is lightweight, rugged, and crystal clear. 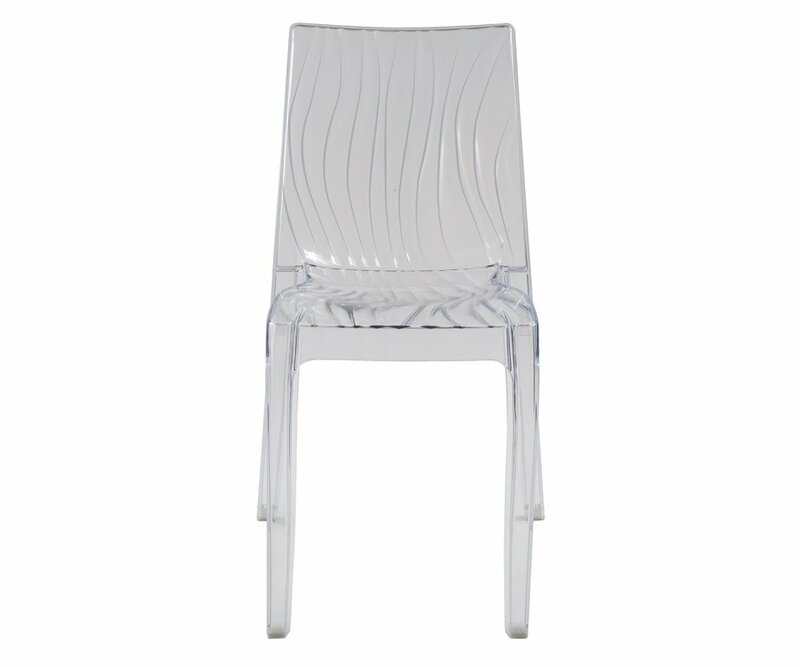 They are scratch-resistant, won’t yellow or fade, made for indoor and outdoor use, and they’re stackable for storing!